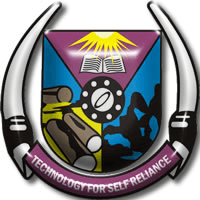 The released 2017/2018 FUTA academic calendar also contains other important dates such as commencement of registration, start and end of lectures for the session and date for start of examination. § Saturday 26th May to Saturday 16th June, 2018 – Inter-Semester Break. 4 weeks for registration, 3 weeks for examinations. § Friday 26th October, 2018 – Second Semester Examinations End. § Summary: 13 weeks for Lectures, 2 weeks for registration, 3 weeks for examinations. § Wishing you a prosperous session!! !